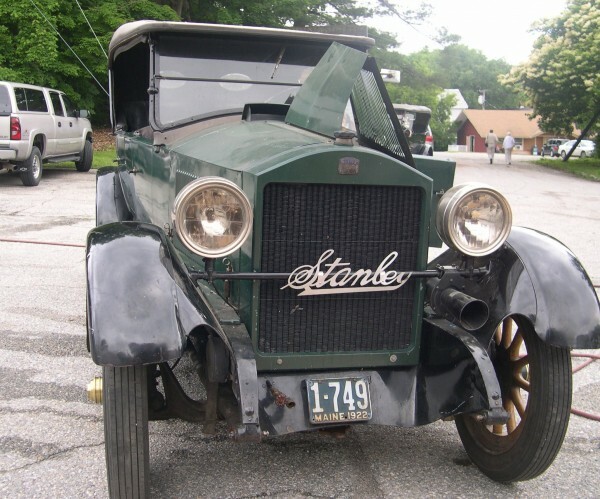 A vintage Stanley steam car, a 1922 Model 740, one of three running Stanleys to be auctioned off on Sept. 13 at the Stanley Museum Auction in Kingfield. KINGFIELD - The Stanley Museum will hold its 9th special Consignment Auction of steam cars, parts, literature and other memorabilia on Saturday, Sept. 13 at 9 a.m. The auction will be held, rain or shine, under a tent outside the Stanley Museum at 40 School Street and will also be conducted live over the World Wide Web via Invaluable. Interested parties can preview the material on Sept. 12, from 10 a.m. until 4 p.m. The purpose of the Stanley Museum Consignment Auction is two-fold: first, to help raise funds to support the Museum; and second, to help fulfill one of the Museum’s objectives by providing access for its members to rare and hard-to-find steam car parts to help keep their steam cars operational and out on the road. The Museum’s consignment auction is one of the primary methods of keeping vital steam car parts circulating among the collectors who need them. This year the Stanley Museum auction will present over 390 lots, including three vintage Stanley steam cars – all in superb driving condition. The highly sought-after cars currently consigned include two Stanley Model 740 5-passenger touring cars from 1922 and 1923, and a 1911 Model 63 brass-era Stanley. The auction will also offer numerous sought-after steam engines, parts, and hardware, as well as many unique items including rare vintage automotive literature and special tools used in servicing Stanleys. As in years past the Stanley Museum Auction will be conducted in the customary smooth and professional style of the Thomaston Place Auction Galleries of Thomaston. In conjunction with the Stanley Museum Auction, the auctioneers from Thomaston will also have their traveling van in Kingfield on Friday, Sept. 12, from 11 a.m. to 3 p.m., for an Antique Appraisal Fair hosted by the Kingfield Bicentennial Committee. The Museum is indebted once again to Thomaston Place Auction Galleries and their entire crew for donating their services, bringing the auction into the digital age, and ensuring that our auction will be a huge success. The Stanley Museum will provide box lunches for onsite bidders if pre-ordered in advance. For more information, contact the Stanley Museum at 207-265-2729 or at maine@stanleymuseum.org. The Stanley Museum is open year-round; autumn and winter hours (October through May) are Tuesday through Friday, 1 to 4 p.m., and by appointment. Museum members and Kingfield residents are admitted free.